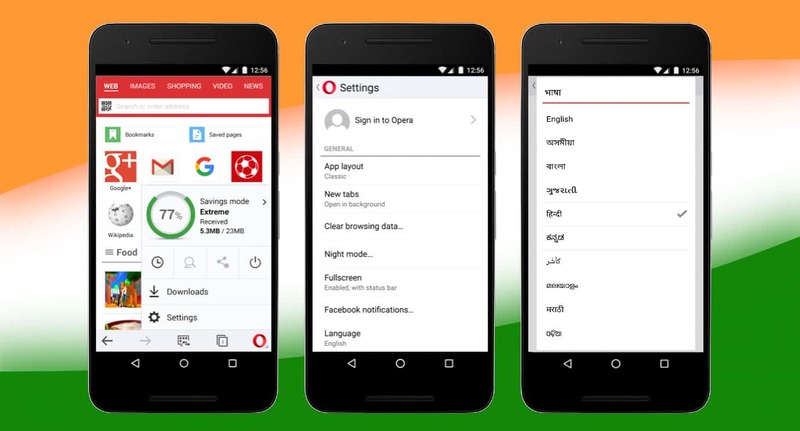 NEW DELHI, INDIA: The first Opera Mini update of the year is out with 90 languages to choose from. This includes 13 Indian languages, namely Assamese, Bengali, Gujarati, Hindi, Kannada, Kashmiri, Malayalam, Marathi, Oriya, Punjabi, Tamil, Telugu and Urdu. Other features include a new QR-code reader and generator, as well as an improved download manager. Language has always been a challenge for countries which use several native languages which presents a challenge for global game and app developers, as millions of users often face using services in a second language. While other companies are getting up to speed in this area, as seen by the recent global release of Netflix in 130 new countries, Opera has always faced this challenge head on, aiming to provide our products in our users’ preferred languages. The improved language support in Opera Mini for Android maintains this tradition. According to a study by McKinsey, language capabilities are one of the biggest barriers for internet adoption, causing unfamiliarity with or discomfort in using digital technologies, something that is especially widespread in emerging markets, where Opera Mini has most of its Android user base of over 100 million people. “In India, more than 70 per cent of the population does not use English as their primary language. The next generation of internet users will come from non-metro cities and they are most likely to be comfortable in engaging with the web in their regional languages”, said Sunil Kamath, Vice President – South Asia & South East Asia at Opera Software. In earlier versions of Opera Mini, the UI language was set according to the language on the Android OS. With the new Opera Mini, users can choose from the list of 90 installed languages. The most common languages in a person’s country will be shown in top of the language list in the settings menu. Users will also be prompted to select a language the first time they use the updated version of the browser. In addition to the improved language support, Opera Mini for Android has also introduced a QR-code reader and generator and an improved download manager.